Purpose: Use this document as a reference for how to review tuition calculation errors in ctcLink. Enter Run Control ID and click the Search button. **Note: If you have not created a Run Control for this process you will want to select Add a New Value to create one. 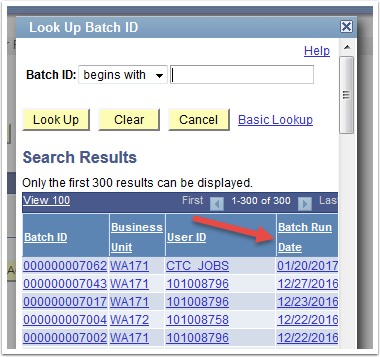 Search for the Batch ID by selecting the Looking Glass. Select the Batch Run Date you want to review. 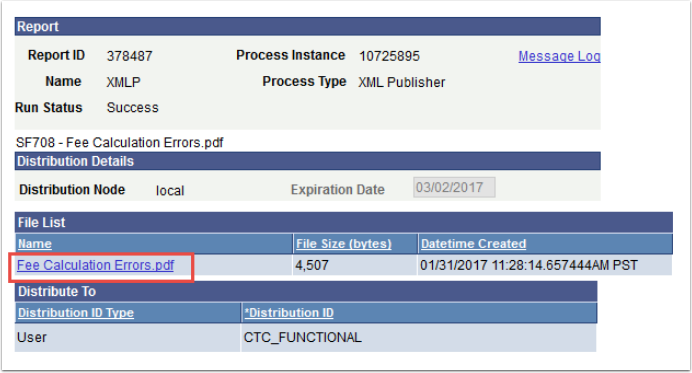 Select the Fee Calculation Errors Report with Process Type of BI Publisher. Select the Process Monitor hyperlink to verify the process has a Run Status of "Success" and a Distribution Status of "Posted". Click the Refresh button to update page. 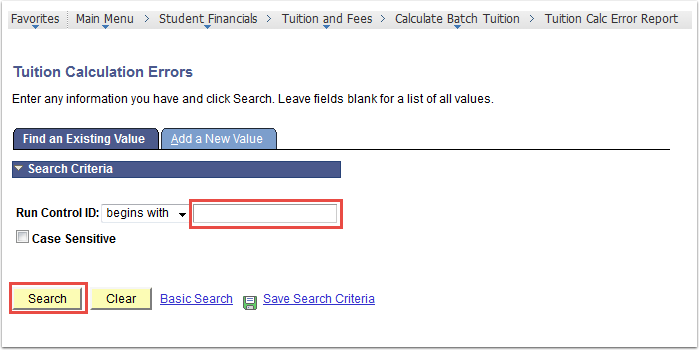 Click the Go back to Tuition Calculation Errors hyperlink to return to the Tuition Calculation Errors page. 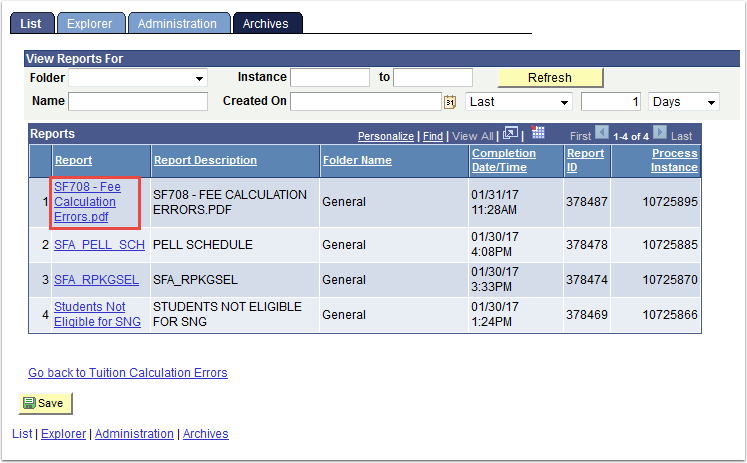 Select the SF708 Fee Calculation Errors.pdf hyperlink under Reports. Select Fee Calculation Errors.pdf to view the report.